Montreal’s current beat renaissance is a melting pot of hybrid sounds and aesthetics as diverse as the city itself. Yet for all of the exciting electronic producers this new scene has spawned, no one is as unique a personality as High Klassifed. 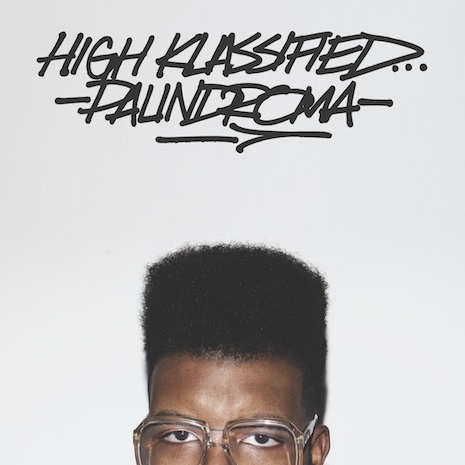 Armed with a Louis bag full of 808s, a half-full bottle of Hennessy, and melodies as stratospheric as his high-top fade, HK makes his Fool’s Gold debut with the striking Palindroma EP. The four hypnotic tracks showcase High Klassified’s signature stew of post-trap drum programming and luxurious, dreamlike synth lines, demanding repeat listens of the entire release. Come aboard and float away with Canada’s finest. Sleeve by NB, photo by Monsiieur, typography by Smart Crew.